When my bushwalking friend, Jane, told me her “conversion” (or her “how she got it”) story, I just had to share it. Here’s that story in Jane’s own words – delightfully told. 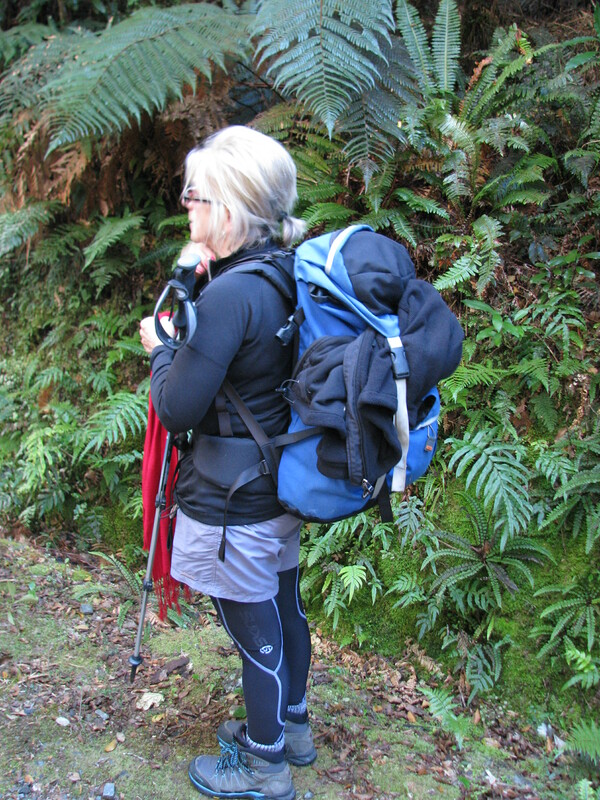 According to most of the bushwalkers I meet, I am a recent convert to walking. I didn’t start walking in my youth but rather left it till I was much, much older. I admired those who could walk for days covering large expanses of ground in often remote areas. I was not one to don a backpack filled with dried peas and a waffle iron, walk for hours and sleep the sleep of the righteous under the heavens on a flimsy bit of foam. I’m still not. In some ways that hasn’t been such a bad thing. I didn’t “use it” but I was lucky that I didn’t “lose it”. My knees after resting for nearly 40 years are still able to clamber down hills and ford streams. And its all still a bit of a novelty. Today I do love walking and I have been able to sleep under the stars. These days I sometimes walk in the bush. I sometimes walk in New Zealand forests. I love walking in alpine regions. And wherever possible I include a walk when I travel overseas. This small contribution to “Our Green Genes” is about how I got hooked on walking. Where was I before I got interested in walking …. I am now well into my 50’s but still think of myself as middle aged. I am recently retired from a senior management role in government. I live on the upper north shore of Sydney but grew up on the northern beaches in the 60s surrounded by beaches and bush. I enjoy the theatre, spa treatments, champagne, nice wines and good food. I married an ageing bushwalker in my 30s. It took him until I was in well into my 40’s to talk me into buying my first pair of walking boots. Before that I thought walking was just a means of getting around the shops. My first pair of boots…. I was driven to buying walking boots in 2008 out of necessity rather than desire, I would have preferred an Oroton handbag which was about the same price. According to my husband, I needed these boots to “walk” in Tasmania where there was the potential of running into a “tiger snake”. What? There are tiger snakes in Hobart? No. But we had booked three days at Cradle Mountain Lodge for a romantic getaway and while I had my eye on the spa package and the restaurant menu, he had his eye on taking a walk in the national park. So, I ventured into Kathmandu in George Street Sydney. I had never been in the store before. I hurried there between meetings. The salesman was most helpful. He sold me my first pair of walking boots with ankle support in the colours of gelato. The whole process took about 10 minutes. I bought the first and only pair that I tried on. I think I also bought a matching pair of socks. I didn’t care what they looked like. At that stage I was not planning on wearing them too often. Cradle Mountain Lodge offered an afternoon guided walk around Dove Lake. A mere two and half hour stroll around the shore in a group of about twenty. It sounded right up my alley. Off we headed with the new boots. We walked around the lake with the rest of the group of tourists who chatted continuously and “oohed” and “ahhed” at the lovely vistas across the lake to Cradle Mountain. The guide was very good. He showed where the Overland Track headed upwards to Marion’s Lookout and described a lovely walk at the start of the Overland from Ronny Creek across the button grass and around Crater Lake cutting back across the ridge to Dove Lake. It sounded delightful…Overall around 10 kms….I dismissed it immediately. We carried on around the lake. We took photos. We were back in time for happy hour. I brushed off the boots and packed them away. Wifely duty complete. However, I got talked into the OTHER walk. The “carrot” was a massage at the spa to be enjoyed afterwards. This walk was to be unguided and minus the crowds. We headed off early on the National Parks and Wildlife Service shuttle bus to Ronny Creek. We were the only ones to get off the bus. We headed off on our own across the duckboards and through the yellow button grass plain. It was so very quiet. And it was flat. Then we came to a hill. I plodded over the top and descended down to Crater Lake where there was a small walkers hut. We stopped there for morning tea. We left there along a well-marked trail that swept around the lake and then branched off over the hill to Wombat Pond. It was on the way down the hill we headed through the most perfect snow gum forest. We stopped. It was no longer quiet. Snow gums during autumn imperfectly shed their bark. Dead bark comes off in large, irregular strips before eventually tearing away from the trunk. The stripped bark reveals trunks of blonde wood. The bark after a little rain takes on a dark red colour. The gentle breeze off Wombat Pond was rising up through these snow gums and causing the long bark strips to flap slowly like giant flags unfurling. The noise was like the clapping of many hands. The smell was bush; eucalypt, damp moss, mushrooms, truffles, wet socks, earthy. We stood and listened. We didn’t move and we didn’t speak. We just stood there smiling like happy idiots. It was the most beautiful thing I had ever seen. . It was then I “got it” ….I understood why my husband and many others walk and love it. Places like this are unique. They can’t be replicated by man. They can’t be built. And they make you grin like a fool. We just stood there for 10 minutes enjoying the show. We then walked in silence down to Wombat Pond where I took my first “boot shot” – a photo of my boots with background scenery to mark the occasion. I was hooked. This was my first real walk and the first photo of the travelling boots. Since then I have taken about 30 boot shots. Nearly every time we walk, I take a photo of the boots. The boots have travelled everywhere; they have seen a fair bit of Australia, have been to New Zealand a couple of times completing two classic walks, Africa twice, Italy, France, Canada and the US. And while I was still working, the travelling boot shots adorned my office to remind me of better things that lay outside. 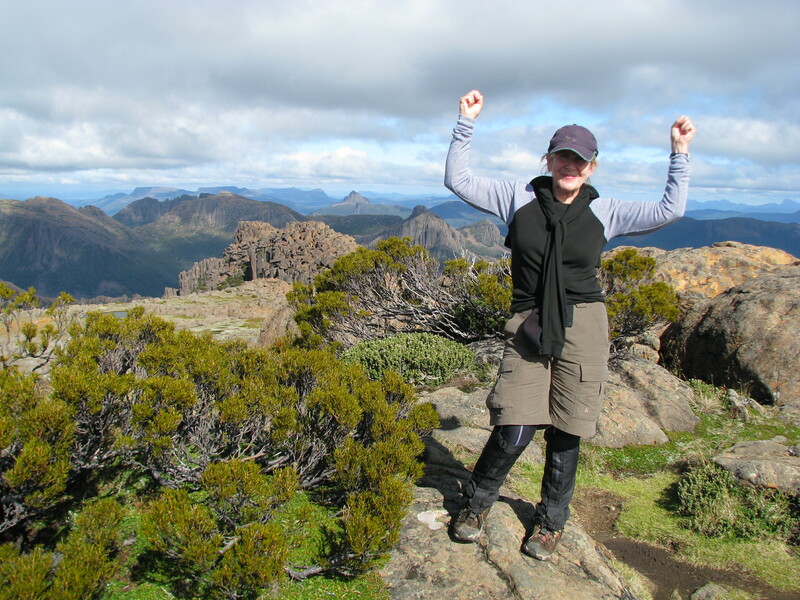 And who would have guessed back in 2008 that six years later we would return to Tasmania and complete the Overland Track from Cradle Mountain to Lake St Clair albeit as part of a “supported walk” guided tour. We only had to carry our personal items and we slept in lodges with hot showers, great food and cold beer. But I still did it and I did it in the original boots. The Overland marked the death of my first pair of boots. I am now on my second pair which I agonised over their selection paying much more attention to fit, sole, water proofing and lacings. I think I spent about an hour trying on different ones. I have plans to complete many more walks. Here’s hoping that I have at least another pair of boots left in me. PS I have yet to see a SNAKE! If there is someone you care about who still has to “get it” as far as nature is concerned, perhaps Jane’s story will encourage or even inspire them. Why not share it with them? 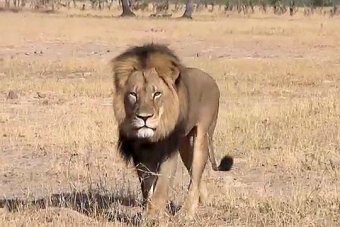 The killing of Cecil the lion by a US trophy hunter saddened and angered me. I took some comfort from the widespread condemnation of the act but a sense of bewilderment persists. I would really like to know why the hunter, Walter Palmer, was prepared to pay tens of thousands of dollars in order to slaughter a magnificent animal. I have tried to imagine setting aside my outrage and having a conversation with him about his motivation. 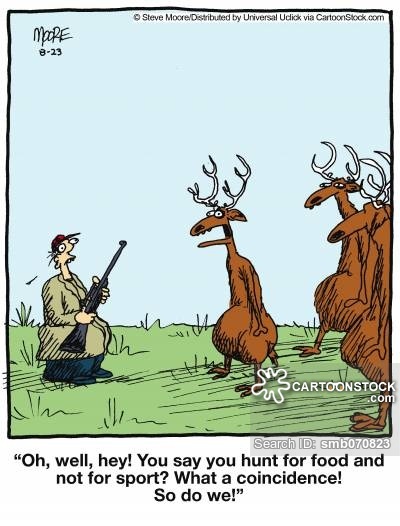 I hope that this version of that imagined conversation captures (and contests) in a reasonable way some of the thoughts and feelings that motivate Walter Palmer and other trophy hunters. Me: Walter, I believe that human wellbeing depends on having a deep friendship with nature. My view is supported by a vast and expanding body of scientific evidence. I have gathered this evidence together in a book, Claim Your Wildness, which encourages people to recognise that they are inherently nature lovers and that both they and nature benefit when that love is appropriately expressed and nurtured. So you will appreciate, I am sure, that your passion for killing living creatures, simply to claim them as trophies, collides violently with my beliefs and values about the natural world. WP: I need to say up front, Les, that I love nature probably as much as you do. I get out into the wild as often as possible. 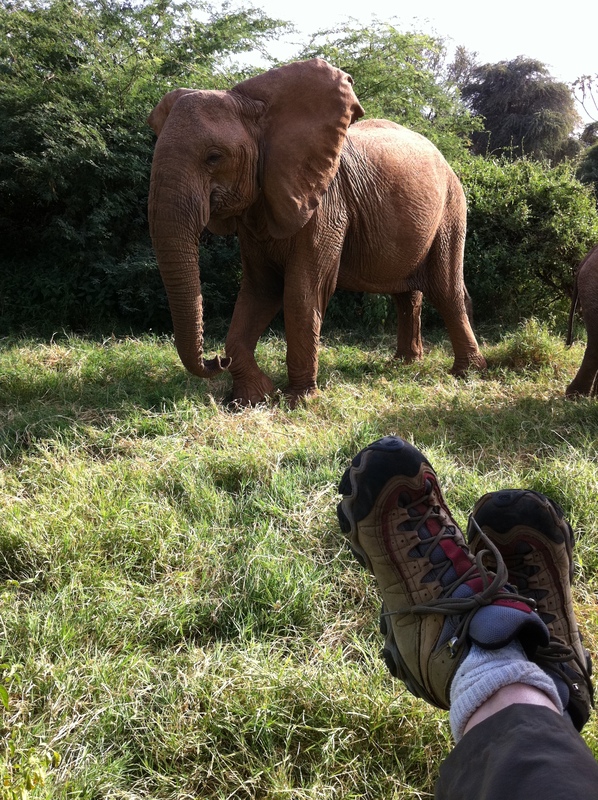 In fact, camping is one of the things I most enjoy about going on hunting safaris. Now let me try to explain why I think trophy hunting does not cut across a love of the natural world. By the way, I understand that the scientific term for that love is “biophilia”. Correct? Me: Yes, that is so. WP: I agree that humans are born with a disposition to love nature. As a person with scientific training – I am a dental surgeon – I also accept the explanation that our love of nature is largely a product of evolution. It is programmed into us because it helped our species to survive in the wild as hunters and gatherers. That brings me to my first point. Many of the animals I have killed were pests. They were animals that were damaging or disturbing the natural environment. Killing them was actually helping nature. Me: Sure, I can accept that getting rid of genuine pests is justified. The only animal that I have killed was a wild boar, one of thousands that are invading and damaging Australia’s pastoral lands and native forests. But a concern I have is that the definition of pest is not always clear-cut and many animals classed as pests are actually trying to exist in areas that have been taken from them by human activity. “Pest” can be a relative term or a term of convenience to justify a creature’s destruction. If an animal is being a “pest” simply because it is not relinquishing its territory or survival behaviour in the face of human intrusion and demands, then we have a moral dilemma. Only in the most extreme circumstances, it seems to me, can humans justify killing another creature for being what it is meant to be or doing what it is meant to do. After all, with our problem-solving and creative brains, we humans are uniquely placed to harmonise our interests with those of other creatures – otherwise than by killing. WP: If you are saying that hunting pests needs to be done responsibly and humanely then I totally agree with you. Me: Actually, I am saying a lot more than that, but please go on. WP: Well, my second point is that, just as much as we are born to love other living things, we are born to hunt them. I know that you are fond of quoting Charles Darwin’s remark that “humans are a wild species”. I think he is right. When I look at kids, boys especially, I see evidence of a hunting instinct. Kids love chasing and stalking games like hide-and seek, for example. And just look at the electronic games they play. What do many of these games involve? – attacking and defending with weapons. I would go so far as to say that hunting is a form of natural play because it taps into instinctive behaviour. Your book invites people to claim their wildness. I know that for you, “wildness” refers to all the mental and emotional behaviour that evolution has given us to survive and thrive in nature. Well, what I would say is that hunting is part of claiming our wildness. Something I need to add is that hunting in my book always involves giving the animal a chance. I would never kill a “canned” animal, by-the-way. Me: What are canned animals? WP: Wild animal raised in a fenced area of bush and bred so that they lose their fear of vehicles. This makes them easy targets for people who pay big money to be driven out to shoot them. I hunted Cecil – I wish I hadn’t, given the grief it has caused me – with a crossbow rather than a rifle. This meant that I had to take the risk of getting closer to him and having a weapon that required a lot of skill on my part to use. Hitting a target with a bolt from a crossbow is a lot different from doing so with a high-tech rifle fitted with telescopic sights. Me: You have interpreted my meaning of “wildness” quite well. Thank you for that. But there is no way that I can go along with your extension of the meaning to embrace trophy hunting. 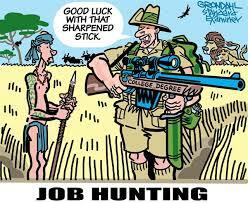 Hunting for food, which indeed nature equipped humans to do, is very different from hunting for gratification. Killing an animal for food is not the same as killing it in order to have its head for display. The first satisfies hunger; the second the need for dominance and power. Forgive my bluntness, but there are no two ways about it. Put a gun or any weapon for that matter into a person’s hands and that person is changed. The weapon confers power; it is a means to control, threaten and destroy. It is important to realise that this is essentially a primitive, emotional response and as such has to be reined in and channelled responsibly. Where guns, pistols, crossbows and the like are involved, target shooting is one obvious way in which this can be done. During my military training I really enjoyed target practice. I killed nothing but striving for a good grouping in the centre of the bulls-eye was great fun and a perfectly adequate test of my hunting prowess as far as I was concerned. WP: Well I am glad that worked for you, but it wouldn’t work for me. There is a special thrill in stalking and bringing down something that is big, powerful and mobile. It’s a form of sport that makes me feel alive. Me: (Thinks) But it is an obscenity that your aliveness is at the price is another creature’s death.